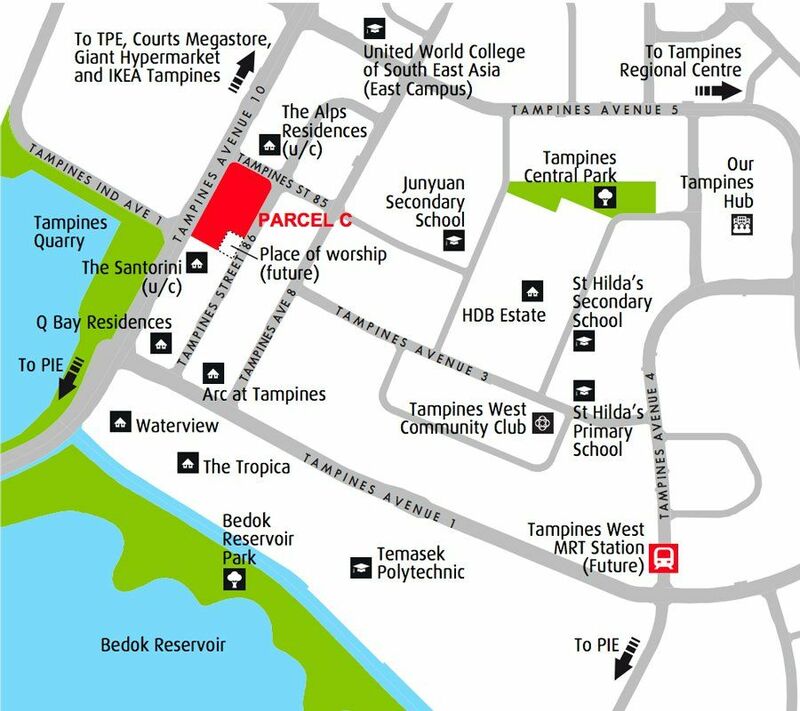 A land parcel (Land Parcel C) along Tampines Ave 10 was released for tender by URA last month in 14th March 2017. The land parcel with an area of 21,717.7 square metres have a lease period of 99 years and was sitting in between current new launch condos, The Santorini and Alps Residences. The land attracted the interest of a total of 9 bidders. Developers that bid or the land include Bellevue Properties (CDL), Kingsford Development, Nanshan Group, Qingjian Realty and etc. Among the 9 groups of developers, CEL was awarded the land tender by a tender ed sale price of $370.1 million which is approximately $565.4 psf ppr. This is about 17% more than the tendered sale price of Alps Residences. The second and third highest bid came from Kingsford Development Pte Ltd at $350 millions and Qingjian Realty (Residential) Pte. Ltd at $345 millions respectively. The lowest bid was at about $278 million and it came from CEL Real Estate Development Pte. Ltd. It is estimated that the selling price of this upcoming new launch condo in Tampines will be selling more than $1,150 per square foot. The increased in the land bid price is also a good indication that prices for new condos have remained stable or somewhat higher.